Prenatal care is critical to making sure that moms in our communities have healthy pregnancies and their babies grow up healthy. 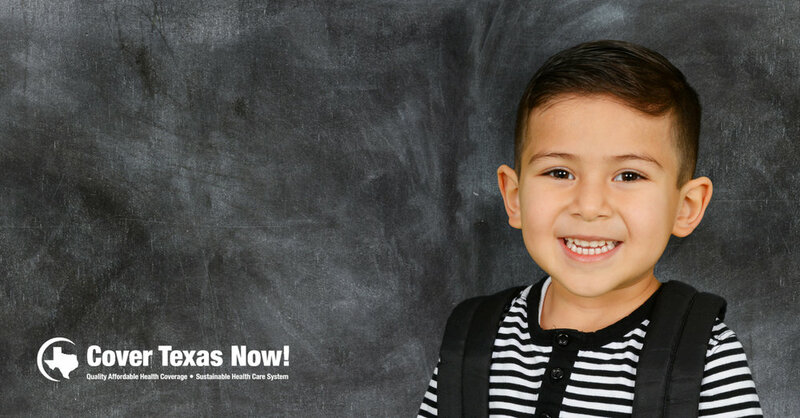 And regular check-ups and immunizations are vital for ensuring that when our children walk into class in our neighborhood schools they are healthy and ready to learn. But these and many other life-changing services could be threatened for millions of Texans - including many U.S. citizen children - under a "public charge" immigration policy that the Trump Administration may announce soon. A leaked draft of the Administration proposal would punish lawful immigrants if a child or other family member enrolls in health care programs like Medicaid, ACA tax credits, or CHIP or uses other programs like SNAP food assistance, WIC, EITC, and other public benefits provided by the federal, state, or local government. It's important to note that this policy is NOT in effect at the moment and could change before it is finalized, so it is too soon to notify families about how they will be affected and how to navigate the new policy. There may be no advantage to disenrolling from programs now. But we want health care supporters like you to know that this battle is coming. The Administration can make this dangerous change on its own without approval from Congress, but YOU will have a chance to weigh in. Once the Administration formally releases its draft proposal, we will let you know how you can submit your official comments to federal officials before they finalize the new rules.